The pleasures of viewing art are often induced by the scenes of leisure they represent. Impressionism’s glorious fields and boating excursions celebrate the fleeting moments of down time implemented with state regulations of the work week. Within the orbit of impressionism, parallel schools of realism-with Courbet as the poster boy-offer canvases of gritty work. 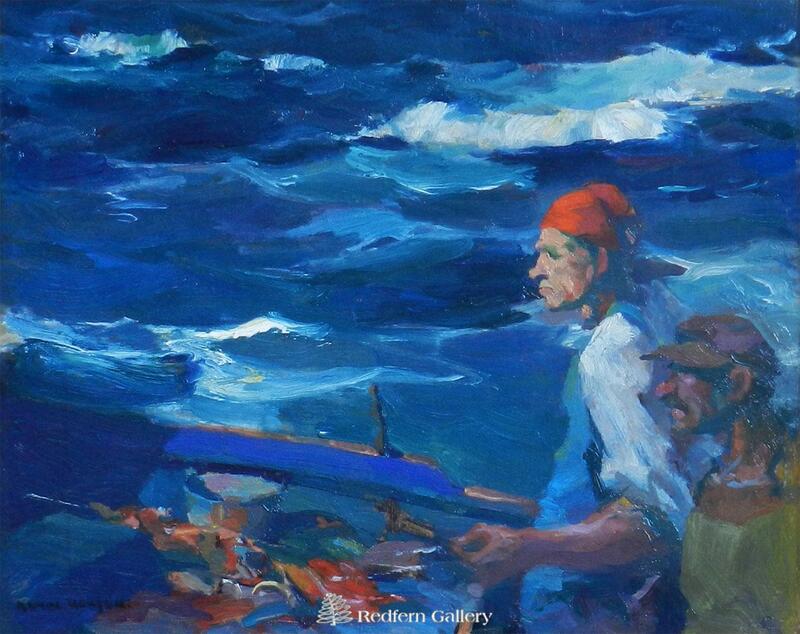 Armin Carl Hansen, Looking Ahead, Oil on board, Redfern Gallery. Click to inquire. 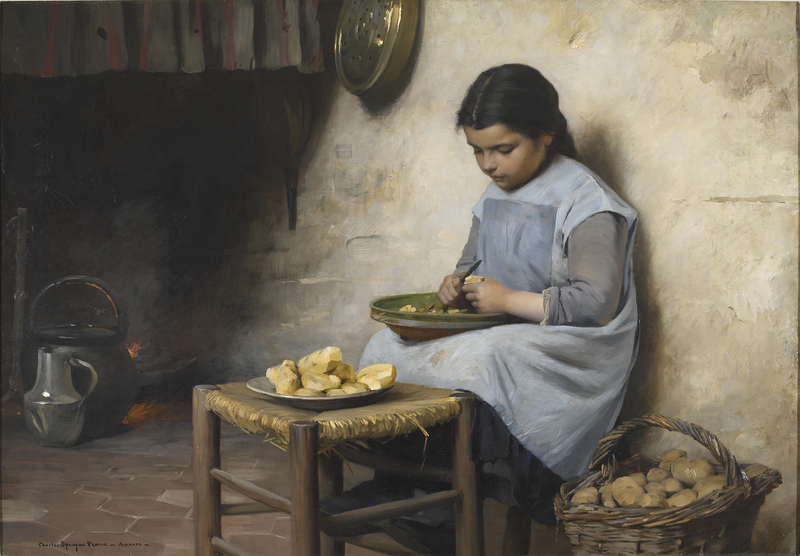 Charles Sprague Pearce, Peeling Potatoes, c. 1885, Oil on canvas, Schiller & Bodo European Paintings. Click to inquire. 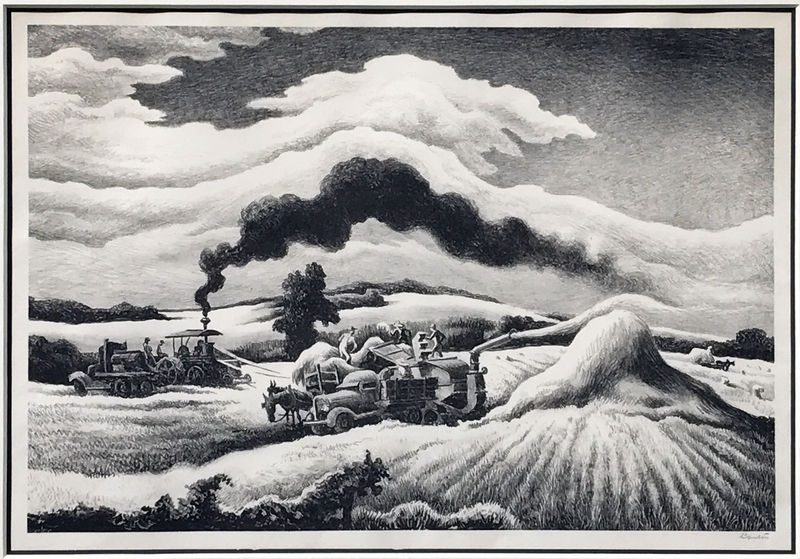 Thomas Hart Benton, Threshing, 1941, Lithograph, Eckert fine Art. Click to inquire. Similarly, Victorian artist Ford Madox Brown-a contemporary to Rossetti and Aestheticism’s lounging ladies-is marked by an oeuvre celebrating work. At first shunned by critics for each artist’s equally worked canvases and ruddy colors, these works are now praised for their poignant nineteenth-century social observations. May 1st’s particular celebration of workers paves this post’s exploration of working bodies in FADA’s inventory. 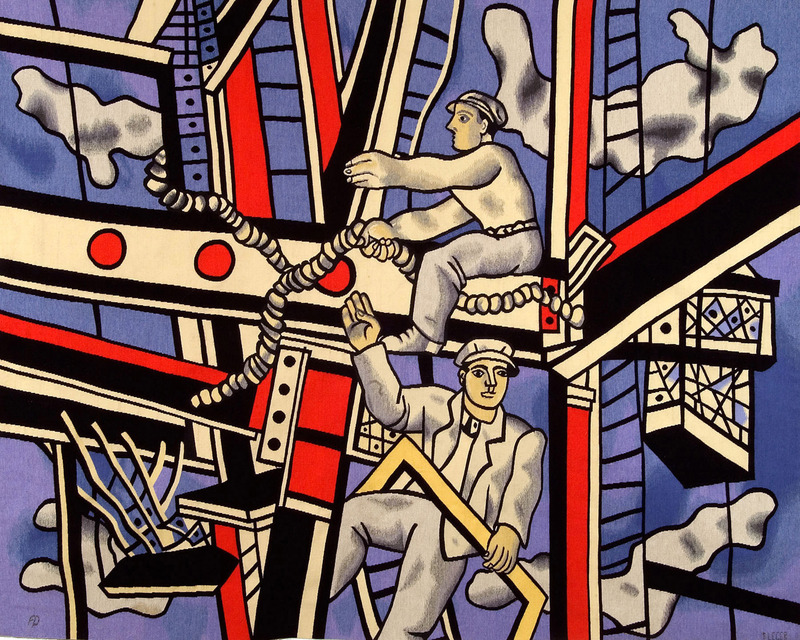 Fernand Leger, Anciens Constructeurs, Tapestry, Jane Kahan Gallery. Click to inquire. James Hollins Patrick, Factory Worker, Oil on canvas. George Stern Fine Arts. Click to inquire. This post looks at a more outdated definition of work-and offers viewers insight into an artist’s approach to depicting labor. Most importantly, questions about work often force an artist to consider how to reveal their own manual efforts to their audience-how do conceptions of the labor of an artist relate to attitudes on manual labor? 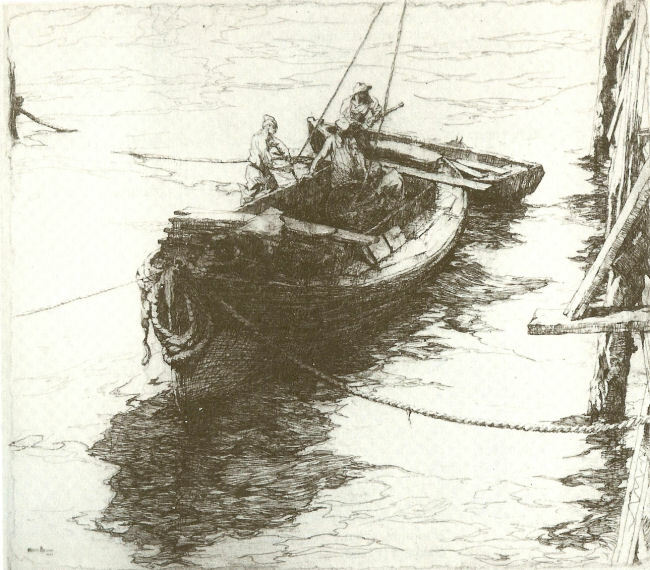 Armin Hanse, Sardine Barge, 1922, Etching, Trotter Galleries. Click to inquire.